Stani Memorial College of Engineering and Technology was established in the year 2000 and has carved a niche for itself in the field of technical education in Rajasthan. SMCET is one of the premier technical colleges of the state and is recognized by AICTE and affiliated to the Rajasthan Technical University, Kota, Rajasthan. Over the past 18 years, it has become one of the most sought after destination for young pupil planning to shape their future in the ever growing field of engineering and technology. The main objective of the institute is to produce quality ‘Engineers’ in Graduate levels in various branches of Engineering. SMCET is committed to promoting and preserving a curriculum leading to academic excellence and professional advancement and continuously assesses and adapts its pedagogy to meet the rapidly changing needs of the industrial world. The campus of the institute consisting of the institute buildings, halls of residence and staff colony is located at IIRM Phagi Campus, which is about 36kms from Jaipur city on Diggi-Malpura state highway. The campus has all the amenities for developing personal, social and academic skills of the student community. The Hi-tech 120 acre campus is beautifully designed and set-up in pollution free, lush green surroundings, away from the hub-bub of the city. To ensure the professional growth vis-à-vis the global demands amongst the technology giants in India and outside, by sincere efforts in invigorating work culture along with practice knowledge and experience. Creating an environment, which nurtures and nourishes motivates and inspires original research in various engineering branches and also development of technical and entrepreneurial skills. Sincere efforts to ensure a congenial and invigorating work culture, synthesis of practical knowledge and experience through various activities. To provide a cost effective base for pursuing comprehensive education program to develop engineering knowledge and skills along with the essential ingredients of entrepreneurial attitude and orientations. To create industrial linkages and support research and development activities for generating innovation and excellence. To forge links with International and National Engineering Institutions and Universities for updating knowledge and developing global outlook. To inculcate among the students values that are global yet reflect our national ethos. To provide a conducive environment where technology can be studied, invented and promoted. To forge links with worldwide institutions of similar objectives and to make optimum utilization of the association. To create a healthy competitive attitude amongst the students by incentive through various extra-curricular activities, scholarships and other such measures. To provide world class engineering education with professional training in order to promote technology advancement so that the Indian technocrats may withstand and win the competition existing at the world level. SIIRM Head Quarters located at IIRM Jaipur Campus has a state of the art infrastructure equipped with latest technology for administration. In addition, it has two more campuses located in Phagi and Jodhpur. The IIRM Jaipur Campus houses the Central Office and the Faculty of Management Studies & a PG College. The rural campus in Phagi is a modern complex, located in over 120 acres of land, just 35 Kms away from the city campus. 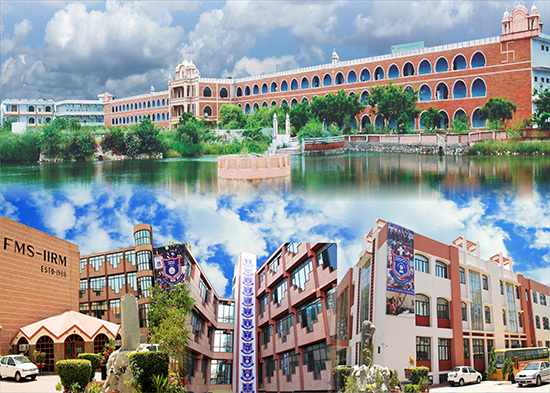 The vast campus houses multiple institutions under the umbrella of the IIRM Group. 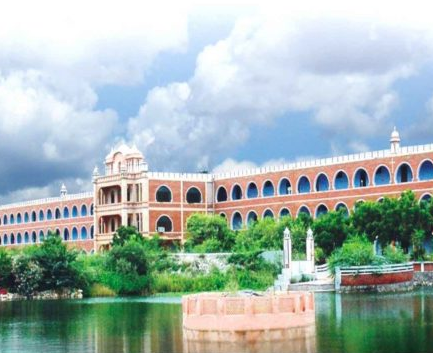 The erstwhile Jodhpur campus of IIRM, now known as Institute of Rural Management, Jodhpur, is an independent unit, offering PGDM programme, affiliated to AICTE. The campus also encompasses a Teacher’s Training college and State Resource Centre. It is located in a serene environment amidst a mountainous terrain within the periphery of Jodhpur city.